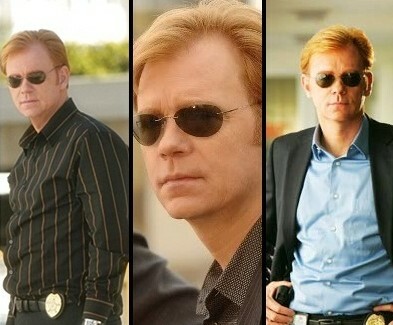 After 10 seasons, it’s time for David Caruso to turn in his sunglasses. CBS has cancelled CSI: Miami, the first show in the CSI franchise to end. Starting in 2002, the TV series follows a South Florida team of forensic investigators who often use advanced scientific methods to solve crimes. The current cast includes Caruso, Adam Rodriguez, Emily Procter, Eva La Rue, Jonathan Togo, Omar Benson Miller, and Rex Linn. The ratings for CSI: Miami have declined over the years. Season 10 averaged a 2.1 in the coveted 18-49 demographic with 9.85 million total viewers. That was down from season nine by 13% in the demo (vs a 2.4 rating) and down by 5% in viewership (vs 10.39 million). While the cop show’s overall viewership is still impressive, advertisers want shows that cater to the demo audience and the network has many shows that attract big overall audiences. Should CSI: NY have been cancelled instead? What’s more, after 10 seasons on the air, CSI: Miami is no doubt very expensive to produce and there are already 232 episodes, more than enough to keep running in syndication for many years. Nina Tassler, President of CBS Entertainment, suggested that one of the CSI shows might be cancelled this month. The original CSI was already renewed so it was a guessing game to see if Miami or NY would bite the bullet. CSI: NY has reportedly been renewed for season nine. CSI: Miami leaves an amazing television legacy – a signature look and style, global popularity and as a key player in CBS’s rise to the top over the past decade. We thank all the producers – led by Jerry Bruckheimer, Jonathan Littman and Ann Donahue — and its talented cast, led by David Caruso, for 10 outstanding seasons. Viewers around the world will continue to enjoy rebroadcasts of CSI: Miami in syndication and on key digital platforms for many years to come. What do you think? Are you sorry to hear that CSI: Miami has been cancelled? Will you miss the show? Was it time for it end or would you have liked to have seen an 11th season? CSI: Miami: CBS TV Show Gets Earlier Timeslot; Will This Help Save It? Yes they should of done another 5 seasons As im a big fan bring it back but you must have the same people or it too work and it will sell I would buy it. OMG if someone is not trailer trash there are less and less good shows to watch. What the heck is the television industry doing. All we have left now on TV are bloody monster shows with mummies; blood suckers or we have sick comedy shows that are never as funny as what once was. TV is getting more and more TRUMPIE – euch!